Manchester United’s last-gasp victory over Young Boys at Old Trafford on Matchday 5 assured the Red Devils of a place in the last 16 of the Champions League with a game to spare. This means their trip to Spain to take on Valencia is pretty much a dead rubber – there is the off-chance of stealing top spot in the group with a win, but that would require the unlikely occurrence of leaders Juventus losing to Young Boys. United boss Jose Mourinho has always tended to put his trust in older players throughout his career – 30-year-old Nemanja Matic has played more Premier League minutes than any outfield player for the 20-time champions this season, for example. And the Portuguese coach often accused of mistrusting young players. But the low-stakes fixture against Valencia provides Mourinho with the perfect opportunity to blood some of United’s gifted youngsters. Here, we suggest four young stars who should be given game time against Los Che. The 2018/19 campaign began promisingly for Pereira, who started United opening two Premier League fixtures after impressing during pre-season. However, substituted at half-time in the 3-2 loss to Brighton on August 19, the Belgium-born Brazil youth international hasn’t started a game since. Last seen making a six-minute cameo in the closing stages of the Red Devils’ October draw with Chelsea, the Champions League tie at the Mestalla, where he spent last season on loan, is the perfect opportunity for Pereira to play from the start and show he is learning from his on-field mistakes. The standout star of United’s under-23 side, having made his debut for the second string late last season after overcoming a serious knee injury, Chong has the pace, directness and exciting dribbling skills that the Old Trafford faithful traditionally adores. Left-footed but capable of playing anywhere across the second line of attack, the 19-year-old Dutchman’s versatility is an asset. A threat as scorer and creator, Chong has been directly involved in eight goals in the Premier League 2 and UEFA Youth League this season. His impressive maturity at youth level suggests he is ready to make a step up to the first team; the Valencia game is the idea opportunity for Chong to make his debut. Still only 18 years old, Gomes has been viewed as the jewel of the Red Devils’ academy for some time now, having starred for England at youth level and progressed swiftly through the ranks at club level. The teenager already has two first-team appearances under his belt and became the first player born after 2000 to play in the Premier League when he came one for the closing stages of United’s 2016/17 season-ending game against Crystal Palace at Old Trafford. Like Chong, Gomes is versatile, creative and dynamic. Though small in stature, he has proven robust enough for under-23 level and is ready for more senior minutes. Portuguese right-back Dalot arrived as an inexperienced prospect for the future from Porto for £19million over the summer and is only now beginning to make a real impact at first-team level. The 19-year-old has started United’s last two games, against Arsenal and Fulham, showing distinct improvements from one game to the other. Adventurous in attack, the youngster still has room for improvement defensively. And as such Mourinho may elect to opt for a more experienced option when United face Liverpool at Anfield on Sunday. 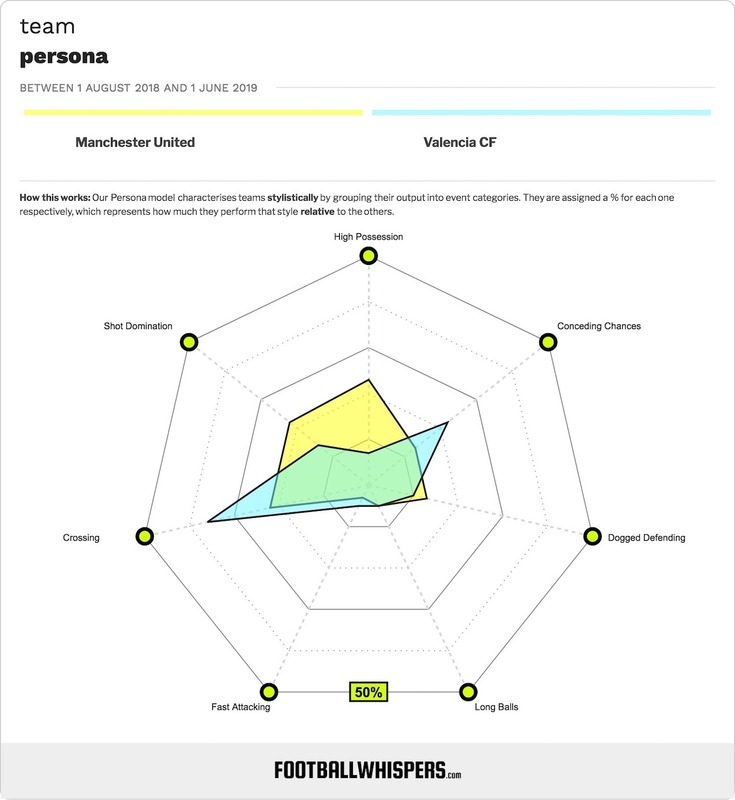 The Valencia match, though, could see Dalot accumulate further vital senior minutes and maintain the momentum he is building. The 17-year-old striker trained with the first team this week and is being tipped to be involved at the Mestalla. Greenwood has been outstanding this season, scoring and assisting prolifically an under-18, under-19 and under-23 level. A tall and technical centre-forward equally adept at striking for goal with both feet, Greenwood is widely seen as one of the brightest prospects in England at present. The way he has taken every step up in his stride already this season suggests he won’t be overawed by making his senior bow so young.